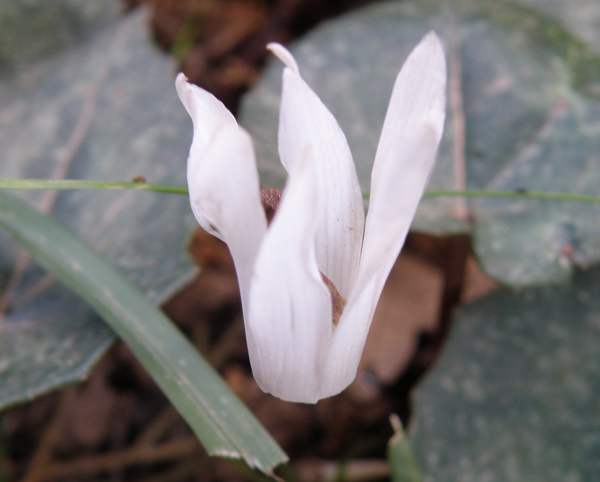 This member of the Primrose family (Primulaceae) is similar to Spring Sowbread (Cyclamen repandum) but with greyer leaves, and flowers that are almost always pure white although occasionally specimens with very pale pink flowers can be found. 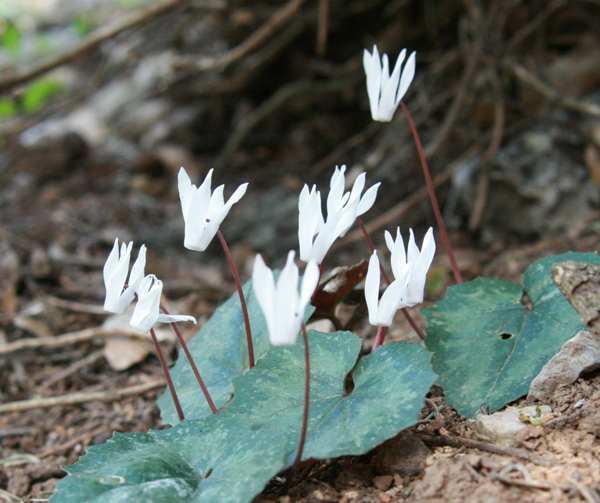 Cyclamen creticum is endemic to Crete and Karpathos, and it can be found in a number of different habitats, from old walls and rocky open grassland to stream and river banks; it blooms from March to May. 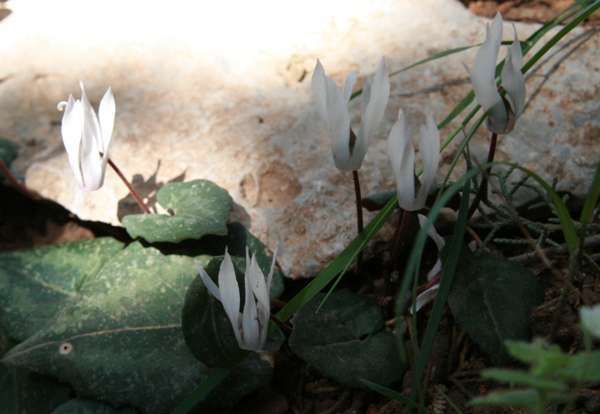 The pictures shown on this page were taken in Crete.